Piotr (Peter) Ilyich Tchaikovsky gave the world a treasure trove of memorable music. 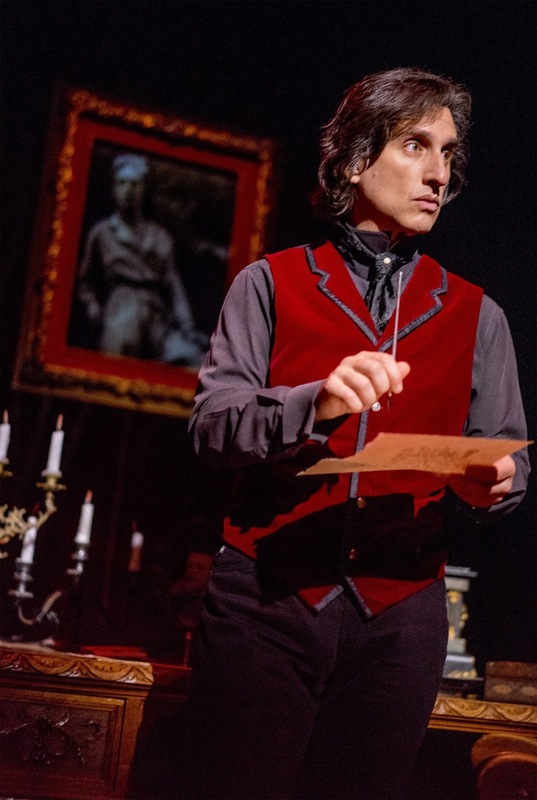 Hershey Felder brings that music and its inspiration to TheatreWorks Silicon Valley in his “Our Great Tchaikovsky.” Felder is known in the Bay Area for writing and performing his one-man shows about such musical luminaries as Bernstein, Beethoven, Berlin, Gershwin and Chopin. This one is slightly different from the others in that it begins with Felder speaking to the audience as himself. He reads a letter from the Russian government inviting him to perform his Tchaikovsky piece in Russia. He returns to that invitation at the end of the show and explains why he has some trepidation about accepting it. Russia still has little tolerance for homosexuals and the promotion of homosexuality. “Our Great Tchaikovsky” makes no secret about Tchaikovsky’s homosexuality, his efforts to hide it and its effect on his music. His “Romeo and Juliet,” for example, was inspired by his fixation on a 15-year-old boy. This information emerges during Felder’s recounting of Tchaikovsky’s early life, his strict upbringing and his musical genius, which became apparent when he was just 6 years old. In an effort to hide his homosexuality, which he called his “proclivity,” Tchaikovsky entered into a marriage of convenience. He and his wife soon separated and lived apart for the rest of his life, but they never divorced. An accomplished pianist, Felder plays much of the music, sometimes singing the orchestral part, sometimes using recorded music. Directed by Trevor Hay, he says Tchaikovsky disliked “Overture 1812,” which ironically became his best known and most popular work. It’s presented complete with fireworks, cannons and church bells in its finale. Felder also designed the set, which comprises a drawing room in the foreground and trees in the background. It’s augmented by ever-changing lighting and projections by Christopher Ash. For example, projections for “Swan Lake” feature an abstract pas de deux. Felder is an engaging performer who presents interesting musical and biographical information. The latter is researched by Meghan Maiya. Running about an hour and 40 minutes without intermission, “Our Great Tchaikovsky” will continue through Feb. 11 at the Mountain Center for the Performing Arts, 500 Castro St., Mountain View. For tickets and information, call (650) 463-1960 or visit www.theatreworks.org.